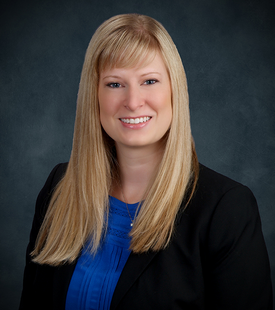 Kimberly Backman is a Partner in the Oil and Gas Practice Group in the Bismarck office. Her practice encompasses various areas of natural resources law and estate administration with an emphasis on title examination. Ms. Backman handles projects containing complex oil and gas title issues and also assists clients with general oil and gas matters. Ms. Backman graduated from North Dakota State University in 2008 with a Bachelor of Science in Political Science. In 2011, she graduated with distinction from the University of North Dakota School of Law. DISCLAIMER – Crowley Fleck prepared these materials for the reader’s information, but these materials are not legal advice. We do not intend these materials to create, nor does the reader’s receipt of them constitute, an attorney-client relationship. Online readers should not act upon this information without first obtaining direct professional counsel. Specifically, please do not send us any confidential information without first speaking with one of our attorneys and obtaining permission to send us information. Thank you.